I read this article and found it very interesting, thought it might be something for you. The article is called Enjoy with MagneticDays smart trainer: behond the simulation! and is located at https://www.magneticdays.com/en/news-en/magneticdays-smart-trainer/. Home » News » Enjoy with MagneticDays smart trainer: behond the simulation! Enjoy with MagneticDays smart trainer: behond the simulation! 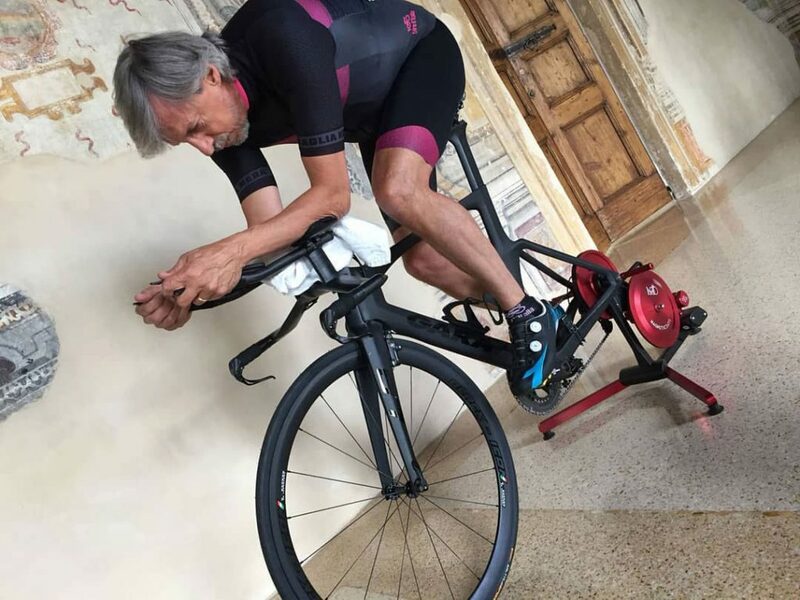 Knowledge, innovation and technology are the key factors of MagneticDays smart trainer with the goal to build a culture of continuous improvement in a field like training indoor for cycling, triathlon and mountain bike. The MagneticDays Training Philosophy has changed the concept of cycling simulator into a true “cycling lab” where is possible to work entirely on the body of each athlete, having at our disposal all his reference parameters that are clear and measurable by a scientific approach to training. Our HTT Methodology represent the most scientific built training programs that are currently possible (from physical and mental wellness to biomedical research), and each workout is totally customed for each athlete, exciting and fun at the same time. Yes, because the indoor training has never been so fun with MagneticDays. Each HTT workout is characterized by continuous changes in rhythm and resistance (from 60 to 80 on average), working with parameters like Watt, Newton, RPM, progression/regression, Auto Watt, Auto Newton, Ideal Rhythms, Joule progression, Offset and more. Every workout is never the same to others (because it are customed for each athlete in every moment) and every test is never a simple test but a real workout. Scientific approach to training and fun are mixed in MagneticDays, with the goal to give the best training experience and top product to all of users, from all points of view. Zwift is a massively multiplayer online cycling and running game and training program that enables users to interact, train and compete in a virtual world. With the new release 2.1.1 of MD WiFi App, MagneticDays has become the first Indoor Training System able to mix a high quality workout with fun. JARVIS System already communicate directly with Zwift, but currently the connection is in a new way if Track Resistance mode is on. The best condition is to use Zwift with PC (JARVIS have the ANT+ aerial for PC as standard equipment) and the MD WiFi App installed on tablet or smartphone. In this way, is possible to control the personal avatar by the Virtual Gear of MD WiFi App (+/- buttons or optical remote control). Furthermore, MagneticDays has made available on its YouTube official channel two video tutorials focused on the use of MD paired with Zwift, ANT+ mode and BLE mode, that is equal to ANT+ mode. The only difference is in the typology of connection with MagneticDays (via Bluetooth for Zwift BLE mode). Zwift is opened on your device (iPad/iPhone). 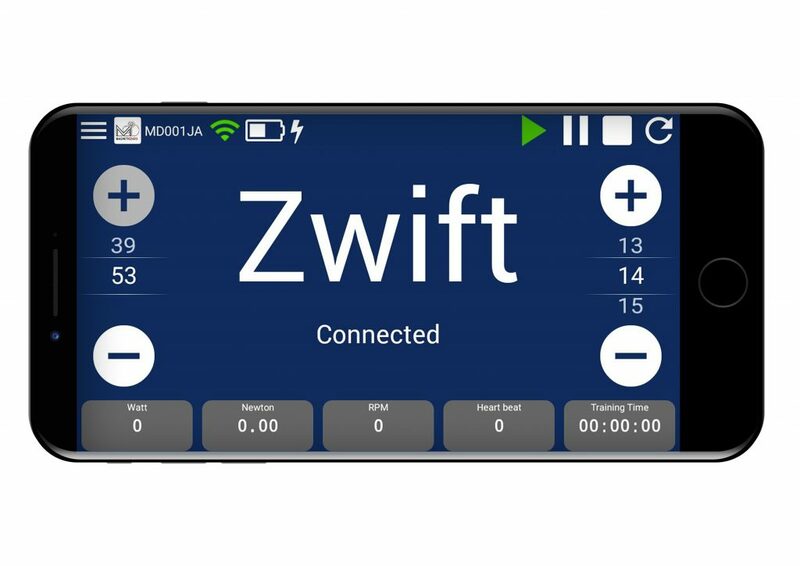 Zwift BLE mode needs of 2 devices, one for MagneticDays WiFi App (iOS or Android) and one for Zwift App (iOS). JARVIS indoor training system offers the great possibility to ride the most famous cycle routes in the world (or your personal cycle routes) as .tcx or .gpx file imported on own personal profile on www.magneticdays.com. Furthermore, is possible to ride routes as .FIT extension imported from Strava, TrainingPeaks or similar platforms. On the contrary, is also possible to export a workout as .FIT extension and upload it on platforms like Strava, TrainingPeaks or similar. For example, you can ride some of the best fascinating climbs like Alpe d’Huez, Col du Galibier (La Marmotte), Madonna di Senales, Monte Jafferau (Bardonecchia), Mortirolo, Mottarone e Stelvio, described by the journalist Riccardo Barlaam of Il Sole 24 Ore newspaper in his book “Tutte le salite del mondo” (All the top climbs of the world). These routes are available in our website (section named Self Managed Workouts and Routes) where are already available a few cycle Hong Kong routes also (free download). Technology and innovation are the ingredients for the best winning trick of MagneticDays, with the goal to give always the top services to all of who want try a new way to cycling indoor for fun, fitness and performance.